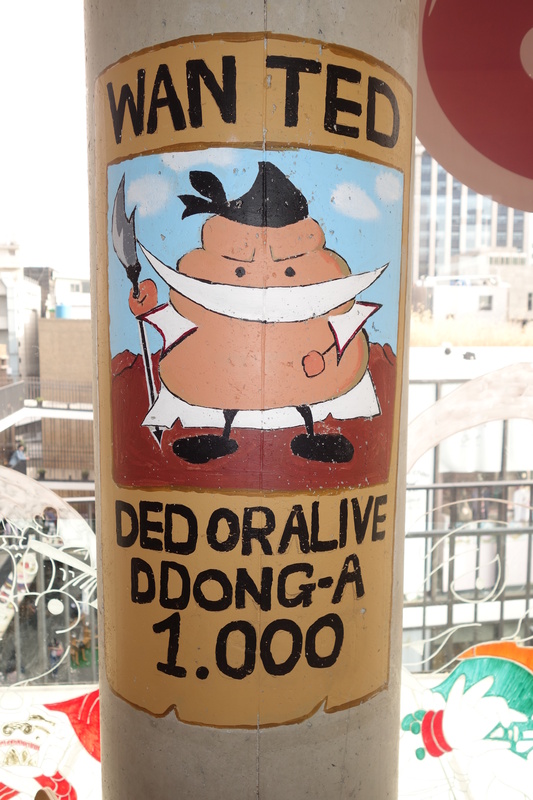 I read about this place a few months back and, rediscovering the 10-year old boys love for poop and fart jokes, I was excited to experience the poop-themed cafe on the 4th floor of the Ssamziegi Mall. From the outside, it looks pretty ordinary. 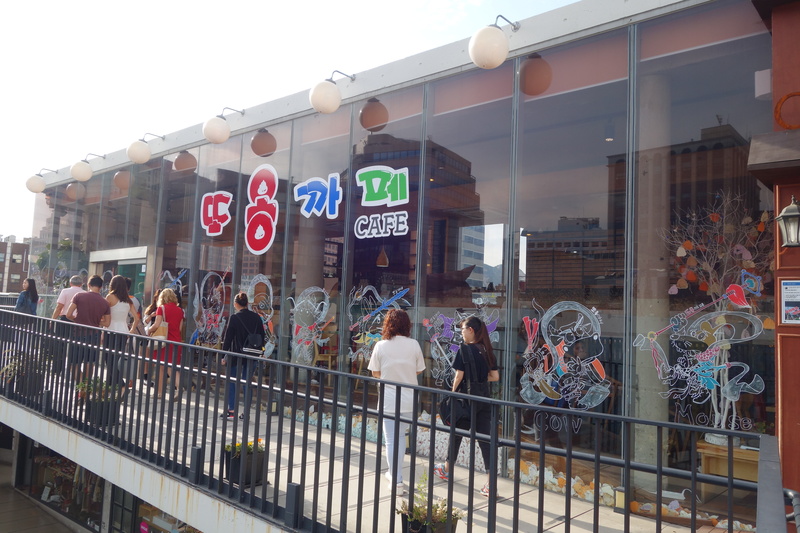 The Ddo-ong Cafe in Seoul, South Korea, literally translates to ‘Poop Cafe’, something that makes complete sense once visitors step inside. 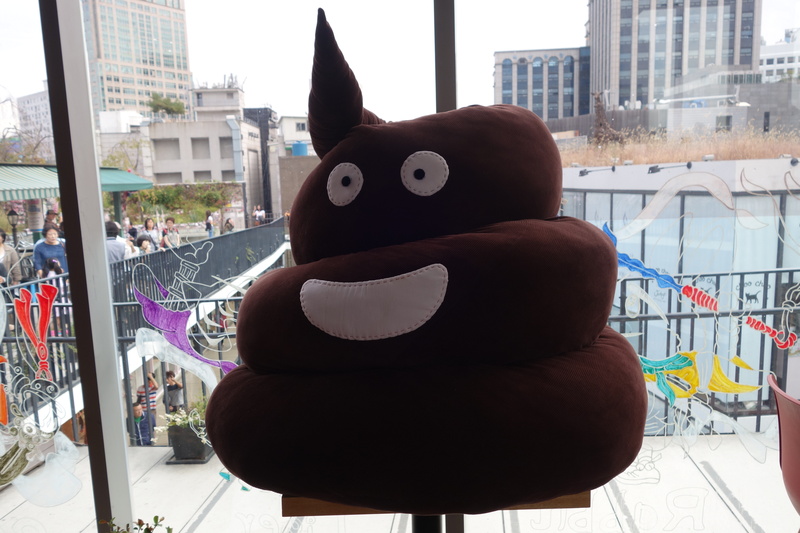 As expected, the poop theme was executed in a cutesy, playful way. 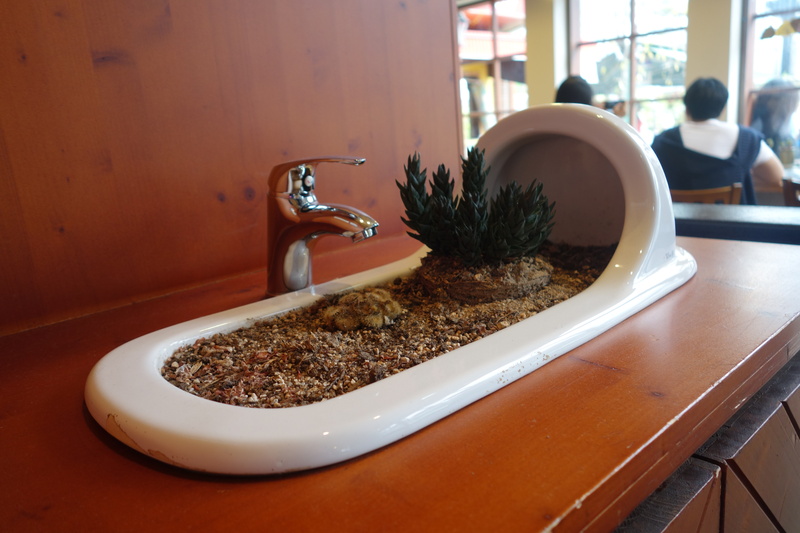 Guests to the cafe are treated to a variety of toilet-themed treats and invited to take a seat and enjoy the variety of poop-themed decorations – from plushes, plant pots, post-its and shelves stuffed with cutesy coils. 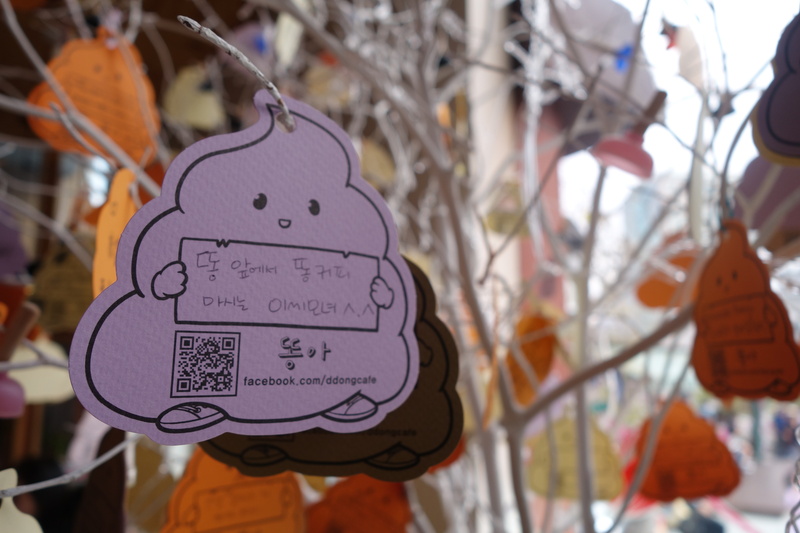 Adding to the experience is a tree decorated with colourful poop-shaped papers with sweet messages from other guests. 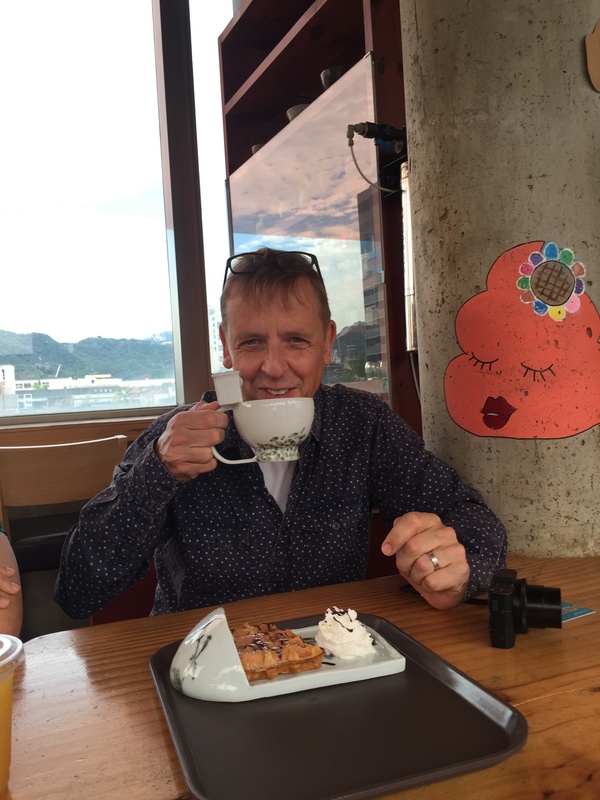 Menu items range from little poop-shaped scones served in a toilet-shaped dish to a coffee served in a toilet mug with tiny poop-like shapes painted on it, topped with a shapely piece of latte art. 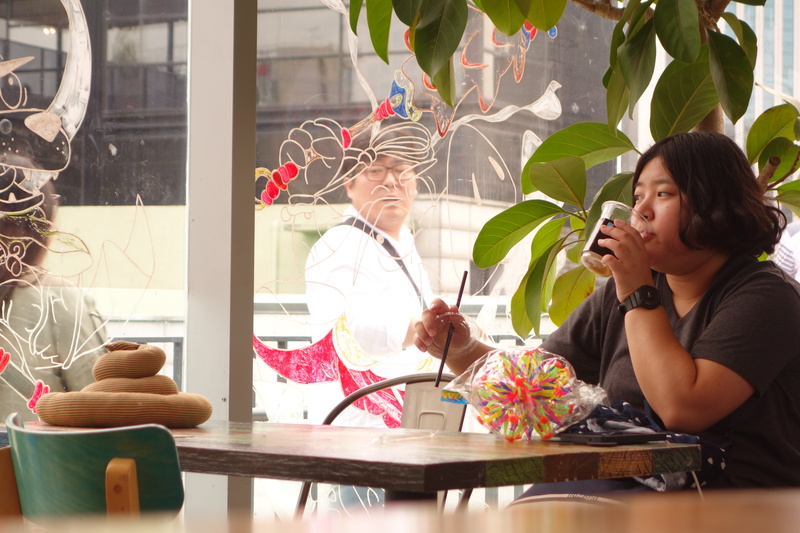 But, despite the toilet-themed decor and a handful of menu items, the cafe is just like many others – a place locals go to relax and grab a coffee. 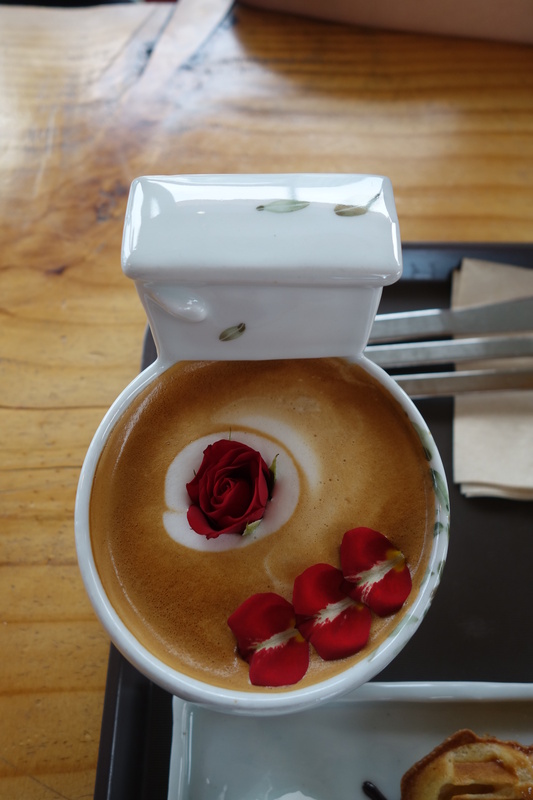 My rose latte, while served in a toilet bowl mug, was super delicious and I might just return to experience it again. 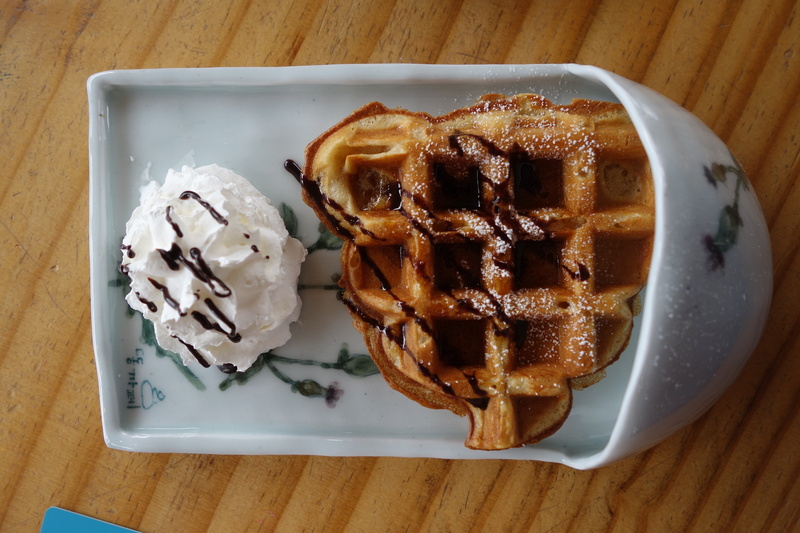 And, the waffle was delicious. It’s certainly an interest novelty to drink out of toilet mugs and take pictures of the poop theme but the real strength of the cafe is how good everything tastes. 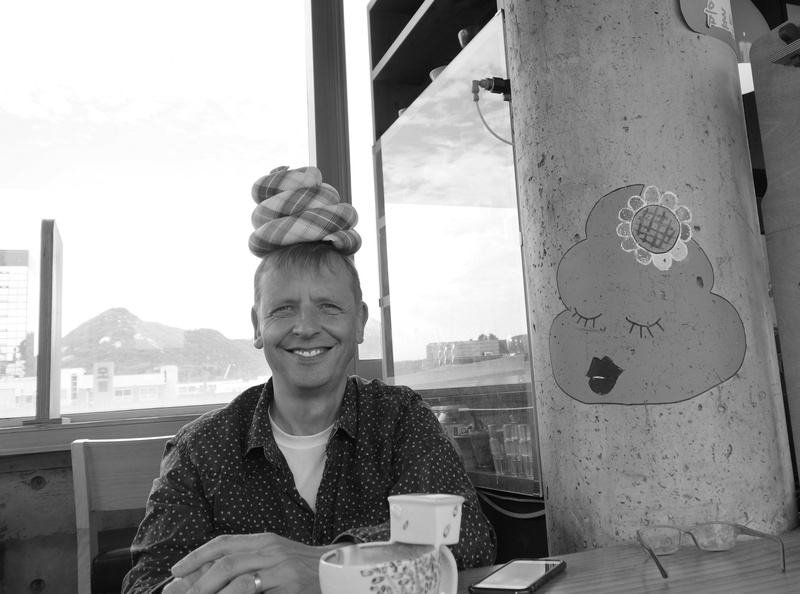 Next time, I will just grab a coffee and leave the camera in my bag. Just like this connoisseur, enjoying her drink with a stuffed poop on the table. Well, yes, I had to go there.